Many first-time patients are concerned that acupuncture needles will feel like hypodermic injections at the doctor’s office. They won't. Approximately 40 acupuncture needles can fit into the tip of a hypodermic needle. 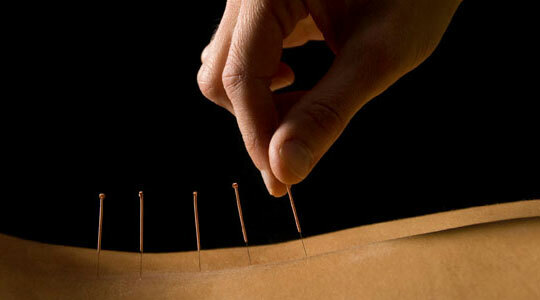 Acupuncture uses very fine, flexible needles that you will hardly feel when inserted. When I gently stimulate the needles they may produce a unique sensation that Oriental medicine calls de qi. Patients often describe de qi as a heavy, achy pressure, or spreading, traveling feeling. You may also feel an "electrical" sensation moving down the meridian pathways, though this is less common. Most patients find these acupuncture sensations deeply satisfying and leave the treatment feeling relaxed both mentally and physically. The benefits of acupuncture are cumulative, so more than one treatment is necessary. Your practitioner will determine your course of treatment based on the condition being treated, severity of the condition, age and duration of the condition. Each individual responds differently to treatment, therefore it is hard to determine exactly how many treatments each patient will need. You may be asked to come in for treatments several times per week or once weekly for a period of time. Generally, it may take a few treatments before you start feeling the effects of treatment. Acute conditions often respond more quickly to treatment whereas chronic conditions often take longer to treat. Preventative treatments and treatments for general well-being may also be scheduled on an as-needed basis, either monthly or seasonally. Several thousand years ago, East Asian practitioners discovered that the body forms disharmonies as a result of the various physical and mental stresses of life. Oriental medicine theory explains these disharmonies as an imbalance of opposing forces called yin and yang. This imbalance disrupts the movement of the body's vital energy (qi) along the meridian pathways, which are channels through which the body's energy is thought to flow. When qi is not flowing properly or it becomes blocked, pain and disease symptoms may arise. Acupuncture restores the smooth flow of qi. By inserting and manipulating hair-thin needles at specific points, I am able to assist in bringing the body to its natural balance and promote the body's ability to heal itself. Modern research also shows that biochemicals such as endorphins, which naturally block pain and immune system cells, are released during an acupuncture treatment. Studies have also shown that acupuncture may alter brain chemistry by changing the release of neurotransmitters and neurohormones. Acupuncture has also been documented to have an effect on the central nervous system including sensation, immune reactions, blood pressure, blood flow and body temperature.